October is a tough month to stay healthy. You’ve got pumpkin pie, chocolates and candies surrounding you at all times, and it only gets worse as the month comes to a close. Whether its sneaking that piece of your kid’s Halloween haul or all of the tempting smells and flavors of the season that are so hard to turn down, there’s always something to lure you back to the sweets. So how do you lighten up your diet without completely cutting out the candy corn? 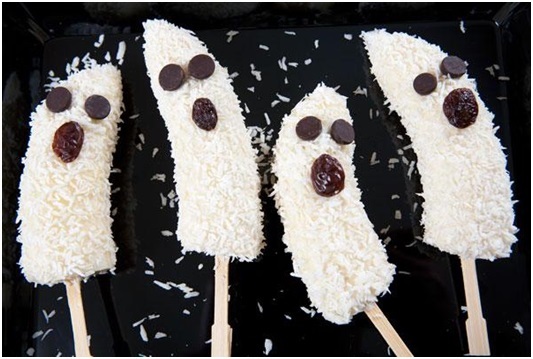 A good start would be to try one of these healthy Halloween treat alternatives with the family. Just be sure not to tell the kids these are healthy – they may go right back to their candy bars! Cut apples into thin slices across apple, leaving round apple pieces. 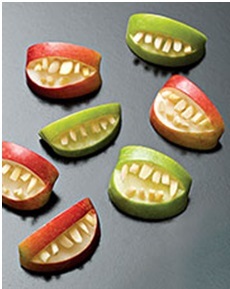 On a cutting board, use mini cookie cutters to cut out assorted halloween shapes in apple pieces. Save both pieces. 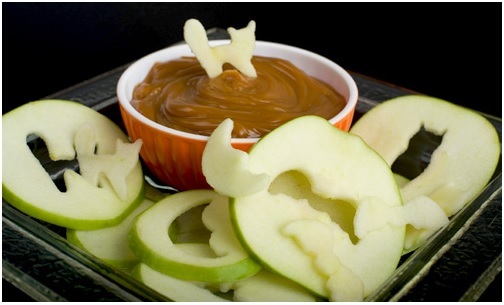 Arrange both the cut-out shapes and round pieces on plate with a bowl of caramel dip. You can sprinkle apple pieces with lemon juice to preserve and prevent browning. 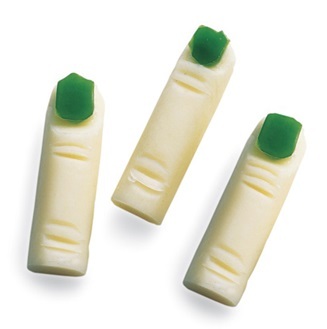 However, it is best to prepare these treats just prior to serving. Dip in orange juice, followed by shredded coconut. Be sure to grab the dried shredded coconut. We found that moist coconut flakes did not stick to the banana well. 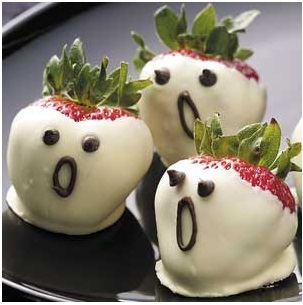 Do you have a favorite healthy Halloween snack? Put on your chef hats and chef coats and post it in the comments below!